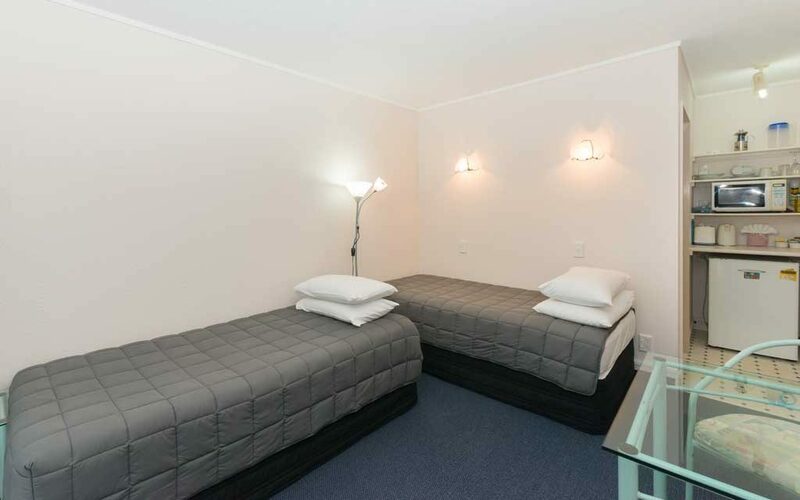 Lets be upfront about it, our twin petite room is small! 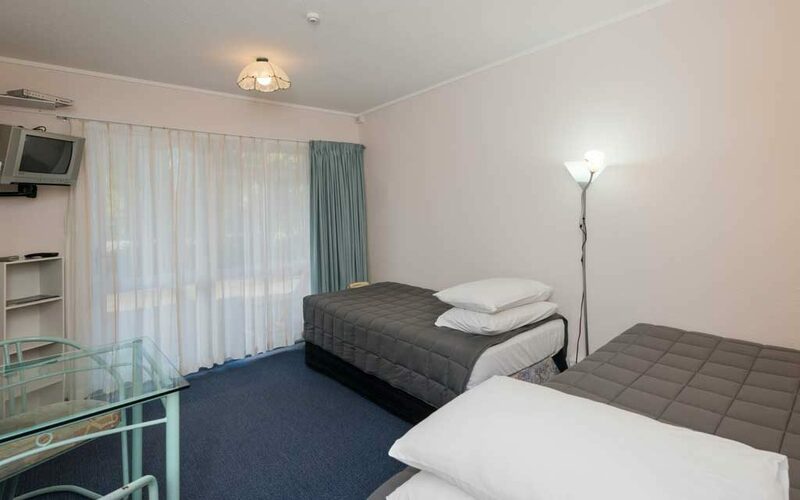 But with all the amenities of the motel on your doorstep and Paihia village a gentle stroll along the waterfront, we think they it is great for an overnight stay, or those travelling without a lot of luggage. 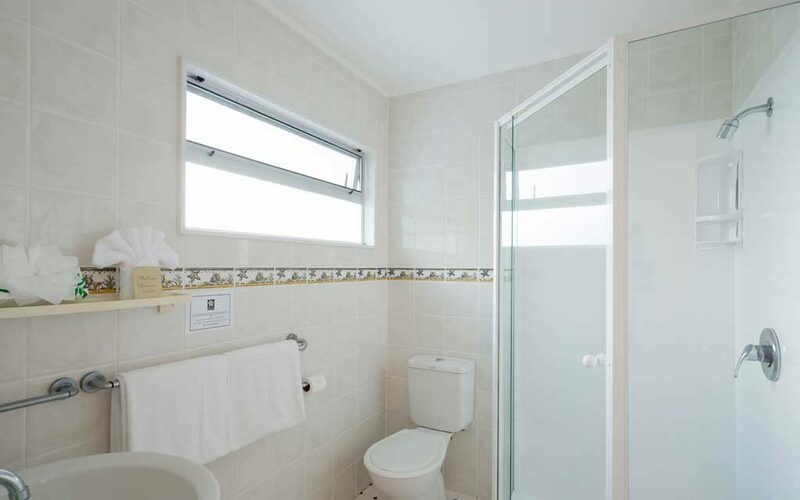 Once you have checked in make yourself a quick tea or plunger coffee, relax and then go have a swim in the heated pool or soak in the spa pool. Continental breakfast is available on request (extra charge) and can be delivered to your room. Grab dinner at a local restaurant just a few minutes walk away.